So you're looking for some fun ways to teach division. Division Math Games are a blast and we've got plenty of activities for teaching learning those division skills. Two players can play. Shuffle the blue cards and the yellow cards, keeping them in two separate decks. Turn over one blue card and one yellow card so that both players can see them easily. If the number on the blue card is NOT divisible by the number on the yellow card, the first player to say “No!” scores 1 point. Put the cards back in their decks, shuffle them, and turn over one blue card and one yellow card to begin another round. You can play for a certain amount of time (whoever has the most points wins), or you can play up to a certain total (21 points, for example). Example 1: The blue card is a 24 and the yellow card is an 8. Because 8 goes into 24, whoever says “Gazinta!” first scores 1 point. Example 2: The blue card is a 49 and the yellow card is a 6. Because 6 does not go into 49, whoever says “No!” first scores 1 point. 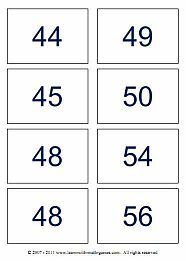 DIVISION MACHINE ACTIVITY: See how many points you can score with this division game. Three different skill levels to choose from. SUM SENSE DIVISION: Drag an Drop the number cards to make a correct division statement. Try to answer as many problems in limited time. What about those Divisibility Rules? They can come in real handy for helping know what numbers will divide into which number. 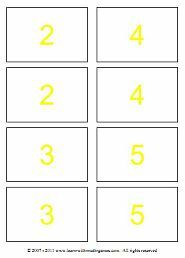 This next activity is good for helping students learn their divisibility rules.